Dozens of workers were busy covering old Sidon’s Frères archaeological site Monday, to protect a major new discovery unearthed by a delegation from the British Museum. The story continues to provide more of the significance of this discovery as well as plans for the new museum. Barrington Atlas of the Greek and Roman World (edited by Richard J. Talbert) is not a new publication—in fact, it has been in print for fifteen years. The print version has been heralded as one of the best and most exhaustive atlases of the Greek and Roman World. Here are a couple summary reviews of the print version. It took twelve years and dozens of contributors to complete its 102 maps. In terms of historical periods, the atlas covers from c. 1000 BCE–640 CE (Archaic-Late Antique/in the Levant Iron Age II–Byzantine Period)—these periods are marked on the various maps with color-coded highlighting beneath the ancient sites. The maps only include ancient site names and regions, but do not include markings for historical events. This is both an advantage and limitation of the atlas, as is noted in the introduction by the editor. The advantage is that a scholar may supply their own markings for historical reconstruction—the limitation is that the lay person, in most cases, is not familiar with the historical events. The print version of the Barrington Atlas is clearly a valuable reference work, as has been recognized for the last fifteen years. However, it is hampered by its price ($425 for the atlas only!) and its cumbersome size. On these two points the iPad version takes a great leap forward in improving the Barrington Atlas. Versatility. A reference tool's usefulness is often heightened by digital access, as it enables a user to carry many large-sized works within a computer, tablet or smartphone. This advantage is particularly pronounced with regards to the Barrington Atlas due to the sheer physical size of the printed version. Navigation. The iPad version functions very similar to an image database in that the maps may be accessed from a host of different locations in the app including a simple search in the "locator" tab or the hyper-linked gazetteer. The drop-down key menu is a very nice feature that reduces clutter on the maps. Price. $19.99 on iPad versus $425 for printed atlas and $285 for printed map-by-map directory. That is $670 for a non-interactive three-volume work that takes up real estate in your library or $20 for the same data with intuitive interactive navigation tools and search functions. Need I say more. In some cases another level of resolution on the maps (for zooming) would be helpful, however, this would also increase the file size, which is already at 411 MB (a substantial amount for a 16GB baseline iPad). It would be helpful if the atlas was available for use on a desktop or laptop as well as iPad. The iBooks store used to be only available to iPad users, but is now a multi-platform offering for iPhone, iPad, MacBooks and iMacs. This would enable users to have access to the Barrington Atlas alongside a word processor and/or other reference works (e.g. Logos, Accordance, etc.) Users would be more likely to download large files on laptops and/or desktop computers and they would also have better access to the maps for use in presentations. Carta's Translation of Eusebius' Onomasticon (with site index) (2003), also available on Accordance which I would highly recommend over the print version due to its search capabilities. These works deal with the same periods (Hellenistic-Byzantine), but they provide much more detailed discussions and maps related to the historical geography of Greco-Roman Judea, Samaria, Galilee (i.e., Palestine). These regions are covered in part 5 of the Barrington Atlas "Syria-Meroe" — specific maps 68–71. These maps are well designed and accurate, but limited in the amount of place names that they display. In sum, while noting the limitations that I discuss above, I would definitely recommend this atlas for anyone interested in the Greco-Roman world... assuming that you own an iPad. 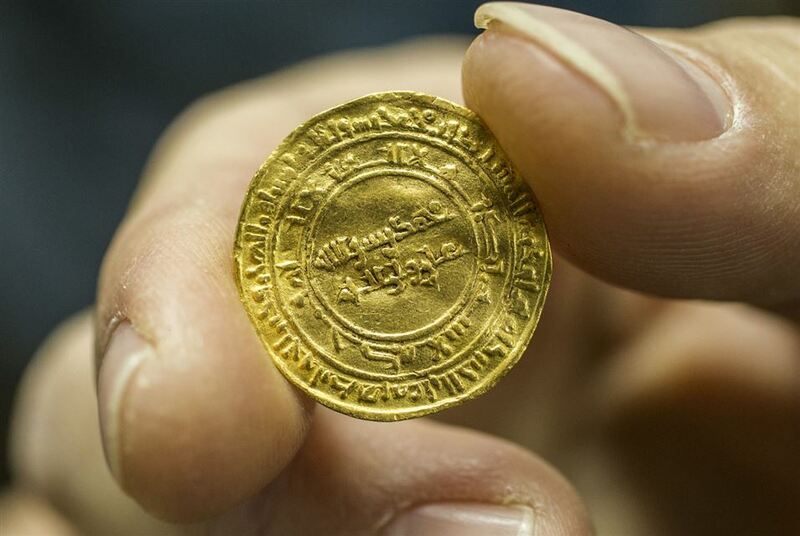 The largest treasure of gold coins ever found in Israel was recently discovered in the harbor of Caesarea. Most of the coins date to the Fatimid period (ca. AD 1000). There’s a close-up of a well-preserved coin here. Seven high-res images are available here. The Jerusalem Post has photos and a video of the recent snowfall in Israel. Record snowfall was recorded in Istanbul, and the snow was heavy in Lebanon and Jordan. Yahoo has more photos of Jerusalem here. And Shmuel Browns has some photos from his neighborhood in the German Colony. Leen Ritmeyer suggests that some paving stones on the Temple Mount pre-date the Roman destruction. The next stop for the Passages exhibit is the happy town of Santa Clarita, California. Some of the Dead Sea Scrolls are coming to the California Science Center next month, along with the Jerusalem IMAX movie. Ever wanted to volunteer in Israel? Wayne Stiles suggests 15 volunteering opportunities. James Pritchard’s HarperCollins Atlas of Bible History is not the best atlas out there, but it’s currently only $3.99 for Kindle. As one reviewer notes, the text may be more useful on the screen than the maps. This week on the Book and the Spade: Herod’s palaces and ancient olive oil, with Clyde Billington. Ferrell Jenkins explains how Pilate used coins to promote the emperor cult. Codex Vaticanus is now online. Aren Maeir’s recent lecture at GVSU is now posted on Youtube. Eric Cline will be lecturing at the Oriental Institute in Chicago next week. Gabriel Barkay, Zachi Dvira, and others involved in the Temple Mount Sifting Operation are coming on a fundraising tour in April and May. Check out their blog to learn how you can arrange talks or dinners with them. The Islamic State is reportedly looting ancient sites “on an industrial scale.” Some people are trying to stop it. Two New York philanthropists are donating a major collection of more than 300 ancient Greco-Roman and Near-Eastern glass vessels to The Israel Museum in Jerusalem. The gift from Robert and Renee Belfer was announced by the museum Wednesday. It comes as the institution celebrates its 50th anniversary this year. An exhibition titled "A Roman Villa — The Belfer Collection" showcasing approximately 100 of the objects will be on view at The Israel Museum from June 5 through Nov. 21. The collection is "one of the most important private holdings of antiquities anywhere," museum Director James Snyder said in a telephone interview from Jerusalem. He called it a "transformative gift" of "pristine" and "superlative" examples that will strengthen and enhance the museum's current collection of Greco-Roman artifacts. "For us it's like the exquisite icing on the cake," he said. They include cast vessels and blown and mosaic glass pieces, ranging from the 14th century B.C., the Late Bronze Age, through the 14th century, the Islamic period. The collection also includes about 50 important works of Greco-Roman sculpture and relief work, including bronze and marble sculptures, mosaics, frescoes and pottery. A new “Rosetta Stone” has been discovered near Alexandria, with the text written in hieroglyphics and demotic script. One hundred prehistoric cultic sites have been studied in the Eilat Mountains. The academic article on which the news story is based is available on academia.edu. And there are more photos here. Roman-period mosaics have been discovered in an illicit excavation near Kerkenes, Turkey. An unlooted Mycenean tomb has been excavated in central Greece from about 1200 BC. The air pollution (aka “dust”) in Israel and the Middle East was extremely high this past week. Daily Mail has some amazing photos and Exploring Bible Lands cites a relevant verse. Carl Rasmussen explains the positive effect. The dust storm was followed by a snow/rain storm (with video). This storm exposed a large Byzantine storage jar on the beach of Yavne-Yam (with photo). Since you’re reading this, you’re already familiar with one of the 5 Holy Land Blogs You Should Follow, by Wayne Stiles, but you may not be aware of all of the other ones. Ferrell Jenkins is taking a closer look at Herod’s temples, beginning with the one at Caesarea Philippi (or better, Omrit?) and continuing with Caesarea on the Sea. Both posts are well illustrated. The New York Times reports on questions about the origins of tablets from the Jewish exiles in Babylon now on display in Jerusalem. An article in The Jewish Week describes some of what George Blumenthal has done to bring the world of biblical archaeology closer to all of us. Which popular movies were filmed in Israel? Which ones were not? Those in the former category include “Exodus” and “Schindler’s List.” A longer list is available in this premium article at Haaretz. Flames of Rome, by Paul L. Maier, is on sale for Kindle now for $1.99. This covers the period after Pontius Pilate and is also recommended if you like historical fiction from biblical times. Just published: Robert Alter’s Strong As Death Is Love: The Song of Songs, Ruth, Esther, Jonah, and Daniel. #5 on our list of Jerusalem favorites is Hezekiah’s Tunnel. The top four are coming on Monday on Twitter and Facebook. For the first time, grape seeds from the Byzantine era have been found. These grapes were used to produce “the Wine of the Negev” — one of the finest and most renowned wines in the whole of the Byzantine Empire. The charred seeds, over 1,500 years-old, were found at the Halutza excavation site in the Negev during a joint dig by the University of Haifa and the Israel Antiquities Authority. “The vines growing in the Negev today are European varieties, whereas the Negev vine was lost to the world. Our next job is to recreate the ancient wine, and perhaps in that way we will be able to reproduce its taste and understand what made the Negev wine so fine,” said Prof. Guy Bar-Oz of the University of Haifa, director of the excavation. The archeologists know of “the Wine of the Negev” or “Gaza Wine” — named for the port it was sent from to all corners of the empire — from historical sources from the Byzantine period. This wine was considered to be of very high quality and was very expensive, but unfortunately, it did not survive to our day, so we do not know what it was that made it so fine. In earlier excavations in the Negev, archeologists found the terraces where the vines were cultivated, the wineries where wine was produced, and the jugs in which the wine was stored and exported, but the grape seeds themselves were not found. This discovery is exciting for local wine growers and for the archeologists, and they all hope to reveal the secret of the Negev vines in order to recreate the ancient wine, and by so doing, to finally understand why it was famous throughout the Byzantine Empire — in Egypt, Greece, Italy, and Spain. Shmuel Browns was at the Herodium a few days ago and had a chance to talk with archaeologists excavating the staircase area. He shares what he learned as well as some hastily-taken photos on his blog. If you missed it, Shmuel also has some rare images of the VIP box of Herodium’s theater. Check those out here. Thanks, Shmuel, for sharing the news and photos! Hopefully the area will be open to the public before too long. Leen Ritmeyer continues his Temple Mount series with a look at the Early Muslim period. He has many illustrations, but the one I’ve always found most helpful in teaching is the comparison of the Temple with the Dome of the Rock. Two Egyptian mummies were found in a sewer near Minya. Morgan Freeman will star in a remake of Ben-Hur. The IAA arrested three men for antiquities theft at Ashkelon. The International Business Times has a short profile of Tel Burna (Libnah?) with many graphics. For the 40th anniversary of Biblical Archaeology Review, Hershel Shanks recounts the story of how the magazine began. Pontius Pilate, by Paul L. Maier, is on sale for Kindle for $0.99. I recommend it. Here’s a unique subject for a blogpost: Salem—What We Can Learn from Abraham’s Visit to Jerusalem, by Wayne Stiles. Wayne is also offering signed copies of two of his excellent books. This is a great gift idea for yourself or someone else who has recently traveled to the Holy Land or who wishes that they could. Eisenbrauns has reprinted all 11 volumes of the State Archives of Assyria (SAA) and State Archives of Assyria Studies (SAAS) and they are on sale this month. The exhibition catalog for the new Bible Lands Museum Jerusalem exhibit is now available: By the Rivers of Babylon, The Story of the Babylonian Exile Jerusalem, by Filip Vukosavovic. The Al-Arish National Museum in the North Sinai has been damaged in an attack by the militant group State of Sinai. Ancient Romans ate meals that most Americans would recognize. On Monday we’re beginning a series on Twitter of our 15 favorite places in Jerusalem. Follow us @BiblePlaces or on Facebook. On January 20, Google announced that Google Earth Pro is now available for free (see here.) 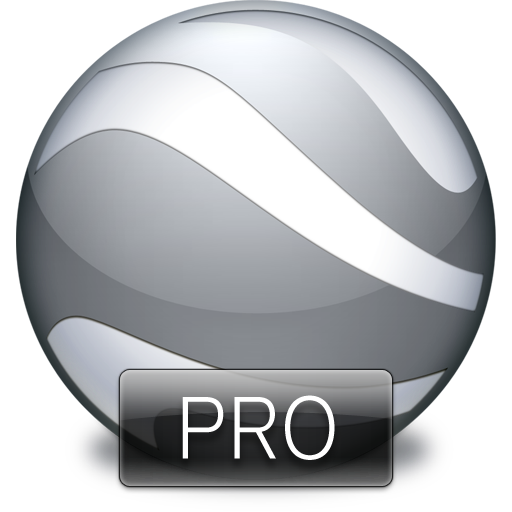 Google Earth un-Pro was always free, but prior to this, Google Earth Pro required an annual subscription that cost $399.99. The announcement lists some of the advantages to using the Pro edition. Google Earth works on both Windows and Mac. The program can be downloaded here. The free license key is GEPFREE. To get started with some of the Pro features, this blog describes Movie Maker, and this help describes the use of Super Overlays for importing hi-resolution overlays into Google Earth Pro. Another option for importing large overlays is MapTiler.